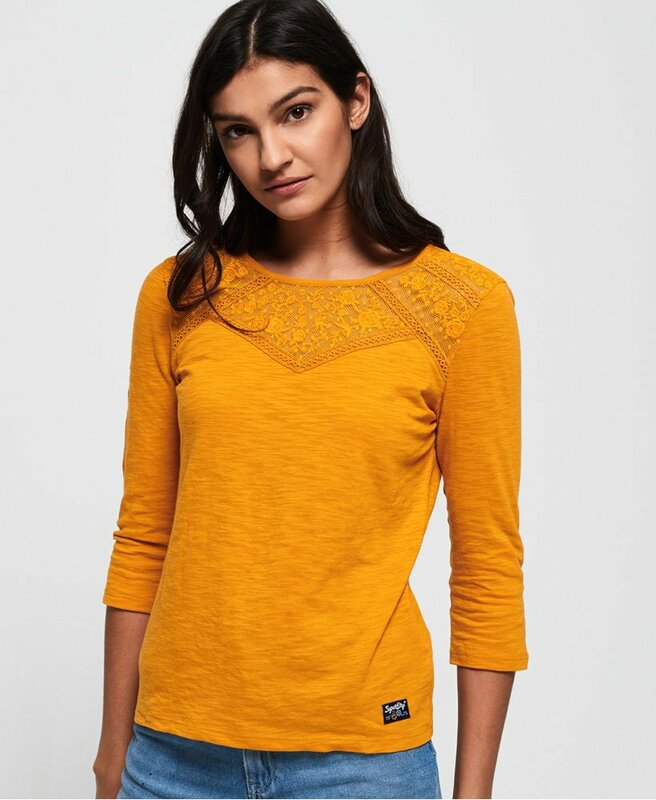 Superdry women’s Whitney embroidered long sleeve top. Simple and so chic this long sleeve top is a must-have this season. The beautiful lace detailing and embroidery along the shoulders and back adds texture to your outfit. This top also features long sleeves and a subtle Superdry patch above the hem. Complete the perfect look with jeans and Chelsea boots for a comfortable, everyday outfit.